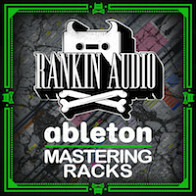 An absolutely astounding new addition of 200 Ableton audio effects racks for all your mixing and processing needs. 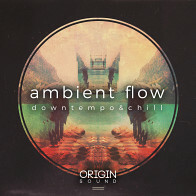 This second chapter in the series builds on the solid foundations of the first, providing a whole new array of practical and exotic processing effect racks for your electronic music. 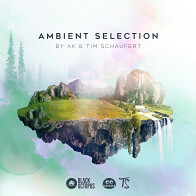 You'll this find all kinds of effects from amazing group and buss processes, lead synth pluck and pad go to options for all kinds of EDM and electronica, experimental studio tools, ambient creators, instant first and and finalisers for specific parts, excellent pro starting points of acoustic instrument placement and tones, plus more technical racks to offer quick control of more advanced processing features within live. Please check the full effect list to get an idea of contents. Take your dry preset, instrument or sample and quickly shape it into a perfectly processed professional sound, cutting down production time and producing magical sounding results with ease. The mix rack library is divided into folders based on suggested general instrument/channel type use. It is very easy to preview and select the perfect mix processing effect for any particular sound. Then use the rack as is to immediately enhance the sound or tweak quickly until its just right for you. Plus, you can now grab the entire MIX RACK COMPLETE COLLECTION, comprising 350 effect racks in total and get a bonus price discount! 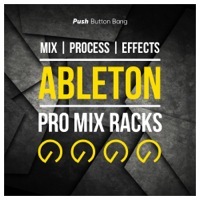 The ABLETON PRO MIX RACK series give you full mixing and processing control within live, enabling you to shape every instrument, group and master track into the perfect professional result for your chosen genre of electronic music. 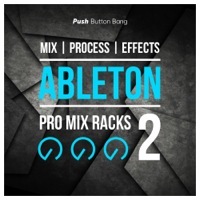 The Following End User License Agreement is included with Ableton Pro Mix Racks 2 . This License is only valid for the individual who has purchased an unopened, new and lawfully made copy of Ableton Pro Mix Racks 2 from a dealer or distributor authorized by Big Fish Audio. "1. Copyright The Sounds (audio / FX / instrument libraries, samples, loops, voices, patches, packs, soundsets, etc., in the form of products and demonstration audio) are protected by copyright laws and are licensed not sold or given to you. Copyright in the Sounds is owned by Licensor and other than the license rights granted in this agreement all rights in the Sounds remain the property of Licensor. 2. Grant of Licence On receipt of payment in full, Push Button Global Ltd. grants the Licensee the right to download and use the Sounds purchased. The license granted is royalty-free and non exclusive and lasts for the life of copyright on the terms set out in this agreement. 3. Rights Granted The license granted in this agreement allows the Licensee to: -	Use the Sounds in combination with other sounds as part of a musical composition (including soundtracks such as films, radio/TV programs or commercials, computer games, multimedia presentations or library music). -	Modify or edit the Sounds to use as part of a musical composition for commercial purposes. -	Synchronise the Sounds with moving images in respect of any film, television, internet or other media production. -	Publically perform the Sounds as part of any music or media production. 4. Limitations i.The Licensee may not claim ownership of the sounds. ii.The Licensee may not use the Sounds (or parts thereof) as audio samples, loops, sound effects, instrument patches / voices, or any other audio format, in isolation or combination or in any sequence of musical events, in any commercial or non-commercial sample, loop or FX library or similar or competitive products that are given, sold or relicensed to third parties, in either software or hardware format, without the express written consent of Push Button Global Ltd. Failure to obtain this consent will leave the Licensee liable for royalty payments for any Sounds used. iii.The Licensee may not use the Sounds (or parts thereof) as audio samples, loops, sound effects, instrument patches / voices, or any other audio format, in isolation or combination or in any sequence of musical events, in any commercial or non-commercial Internet, mobile or computer application, or video or computer game, where they are played individually, in combination or sequenced together with other sounds or images by the end user, without the express written consent of Push Button Global Ltd. Failure to obtain this consent will leave the Licensee liable for royalty payments for any Sounds used. iv.A right to use the Sounds is granted to the Licensee only; it is not transferable. This licence expressly forbids resale, relicensing or other distribution of the sounds, either as they exist or any modification thereof. You cannot sell, loan, rent, lease, assign, upload or otherwise share or distribute original versions or copies of the Sounds , nor transfer all or any of the Sounds to another user. 5. Extensions and exemptions The Licensee may be granted extensions or exemptions to this Licence only via the express written consent of Push Button Global Ltd. Multi-user Licences If the Licensee wishes to share purchased Sounds with colleagues, they must purchase a Push Button Bang Multi-User Licence. Education Licences If the Licensee is an education or training provider, tutor or similar, and wishes to share purchased Sounds with students or learners, they must purchase a Push Button Bang Education Licence. Please contact info@pushbuttonbang.com for further details. 6. Termination The license granted under this agreement, and the Licensee’s right to use the Sounds will automatically terminate in the event of any breach by the Licensee of the terms of this agreement. In such an event, the Licensee will be required to destroy all copies of the Sounds they have produced. 7. Warranty Push Button Global Ltd. expressly disclaims any warranty for the Sounds. The Sounds are sold ‘as is’ without any express or implied warranty of any kind. 8. Indemnity The Licensee will indemnify the Licensor from, and against any and all claims, demands, suits, damages, liabilities and all reasonable expenses, including legal fees incurred by Licensor, with respect to any matter that arises as a result of a breach of this agreement by you. 9. Jurisdiction This License shall be governed by and construed in accordance with the laws of England and Wales and the said courts shall have sole jurisdiction." 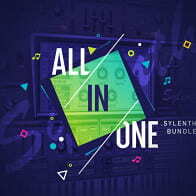 Almost 1000 incredible Sylenth presets in one place!